When it comes to buying a new or pre-owned Volkswagen vehicle, it's natural to have a lot of questions. There are many considerations to take into account! At Owen Sound Volkswagen, we firmly believe that it's our job to ensure that you leave without a doubt in mind. Part of the process is explaining the advantages and disadvantages of either financing or leasing your next Volkswagen vehicle. Our team of experts will ask the right questions and help you understand the various financing and leasing products available to you. Depending on how you plan to use your vehicle, the amount of time you wish to keep it for, whether you use it to commute to work, and how many kilometres you drive annually, we can help you choose the best option. Owen Sound Volkswagen's team of financial advisors are here for you every step of the way, and they will make sure that you get the very best financing or leasing solution. 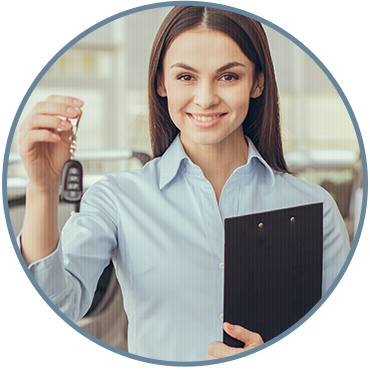 We will do our utmost best to get you into the vehicle of your dreams with the help of a financing or leasing option tailored to you. Visit us today to learn more about each option.